The CE-TECH White 3-Way Phone Line Splitter allows up to 3 devices to be plugged in to a single phone line. This splitter can be used with most brands and is solidly constructed for long-lasting use. The CE Tech 6-Port Wall Plate is used to install low voltage keystone inserts to a desired location. The wall plate's low profile design mounts flush to the wall. 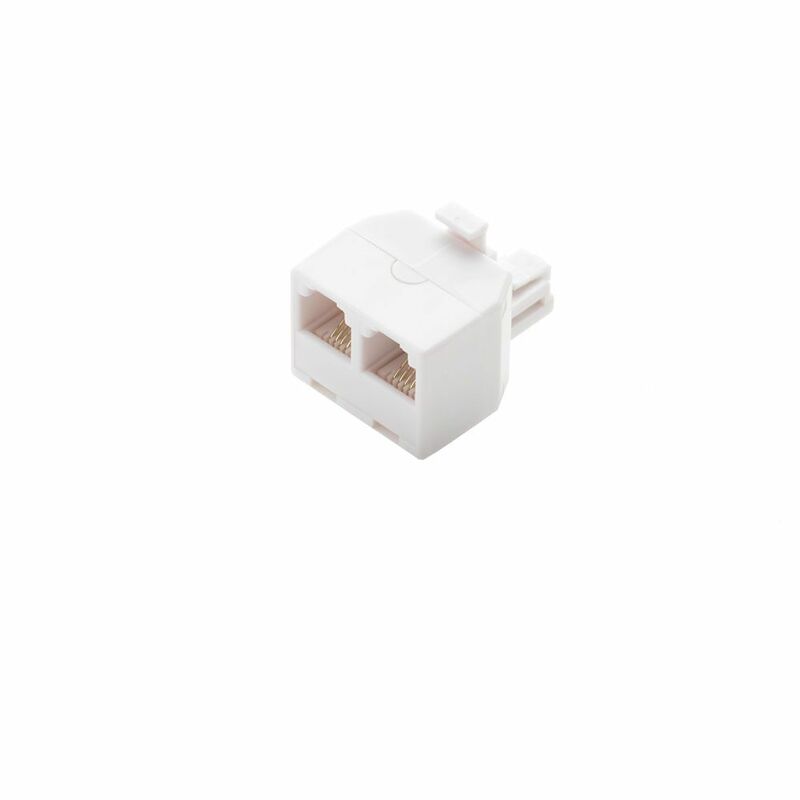 CE Tech snap-in inserts easily snap into the port of the wall plate. Connect and insulate 2 or more bare copper wires with the Winged Wire Connector. The contoured wing design offers a maximum level of torque, and the deep skirted flame-retardant shell helps provide long-lasting use. CE Tech's nickel-plated female-to-female connectors have screw-on front and rear connections for easy termination. They can be used with a number of A/V components, from standard TV to satellite TV. They are compatible with F-connector coaxial cable. 2-Way Phone Splitter WHITE (Male) The CE-TECH White 3-Way Phone Line Splitter allows up to 3 devices to be plugged in to a single phone line. This splitter can be used with most brands and is solidly constructed for long-lasting use. 2-Way Phone Splitter WHITE (Male) is rated 4.5 out of 5 by 2.